I spent the early part of 2010 transferring old VHS tapes on to DVD, so I had to watch an awful lot of myself being terrible on television. I don’t know why I look so smug – and sound so smug – on most of these, but it was no fun seeing them all again. Apart from a 1967 play in which I wore a monocle and had three lines, and a song called ‘Commiserations’ written for Late Night Line-up when Cliff didn’t win the 1968 Eurovision Song Contest, my early beardless appearances were all in revue-type shows: At Last it’s Friday for Granada, which later turned into Psst! (with Jeremy Taylor, Julie Covington, Diana Quick, Kenny Lynch and Keith Dewhurst), Don’t Ask Us for the BBC (with Maureen Lipman, Adrienne Posta, Russell Davies and Frank Abbott), Shut up and Look and Just Watch it for HTV (produced by Noel Picarda, who was a great encouragement). The others were also produced by good people – Nick Elliott, Roger Ordish who went on to Fix it for Jimmy Saville, David O’Clee, John Ammonds who made the Morecambe and Wise shows; I was lucky to be guided by experienced no-nonsense people. HTV, in the shape of Patrick Dromgoole, then let me write and appear in a sitcom. It was called ‘A Class by Himself’, and starred John leMesurier and Peter Butterworth, and ran for six not-very-well-written episodes. Hardly anyone saw it, luckily, but it enabled me to write a part in episode five for a young opera singer I fancied, and to whom I have now been married for 43 years. After this my career took a downward slide, but luckily the opera singer was in regular work at Glyndebourne. I was reduced to doing the late-night Godslot for Thames, which was seen by Bernard Wiggins, with whom I had been at school. He was now producing the Consumer Unit strand of Nationwide, and offered me a job – purely on the basis that he had been expelled from school and I hadn’t, but he could give me a job and I couldn’t give him one so the school had obviously been wrong. (He later changed his name to Bernard Cornwell and wrote a series of wildly successful books about a soldier called Sharpe, so the school was obviously very wrong indeed). I spent the next few years with a brilliant group of people doing consumer stories, films and songs, and suddenly millions of people were watching. It was a heady time – not just because I was sitting next to Valerie Singleton but because we all felt that, quite rarely for television, we were doing the right show at the right time. I left Nationwide because Brian Wenham, then controller of BBC-2, offered me a series of my own. This was called And Now the Good News, and was produced by Ken Stephinson – the only person for whom I have ever played the organ at a wedding; my organ playing is more inaccurate even than my piano playing. 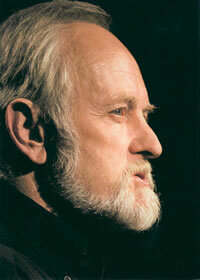 We did a further series, simply called Richard Stilgoe. Both of these were quite adventurous technically, with a lot of multiple image items put together by Tom Gutteridge, but I think I got too excited by the technology and forgot to write any good jokes. Nobody watched these, either. Tom later cast me in a series called A Kick Up The Eighties, which starred Tracy Ullman and the debut of Rik Mayall. They were brilliant. I was really bad in this. My good friend Esther Rantzen then let me sing some songs on That’s Life, alternating with one of my idols, Jake Thackray. After hundreds of TV appearances (over 200 on Countdown alone) people only ever remember two things I did: one is a song called Statutory Right of Entry on Nationwide in 1974, which had seven of me in it, and the other is a song for That’s Life filmed on a bridge miles above the M20. The bridge had no road attached to either end then – it does now, it’s part of the M25 – but it looked very odd sitting in mid-air with me playing the piano on it. As is usual with television, people remember the image, not the words. Which is just as well – the song was called, to my shame, Bridge Over Troubled Mortar. The mortar was indeed troubled – while I was recording the song up top, the Kent C.I.D. were digging in the concrete for the remains of a hitman called Nino Ricci. I also did a TV series for tinies called Stilgoe’s On, two Parkinsons and a Royal Variety Performance. And in 2001 Peter Skellern and I did a Royal Variety together, accompanied by the ladies of the Rylstone Women’s Institute who had produced the famous calendar. I did quite a lot of TV with Peter, and I don’t mind watching that so much. Mainly because I look pleased to be with him, which I was, rather than simply pleased with myself. And, in 2001, This is your Life. This was a complete and genuine surprise, and a delight – though I had been nervous about the possibility of it happening ever since my brother George went to live in Brazil forty years ago, thus providing a vital element to any This Is Your Life edition – the relative who has travelled thousands of miles to be there. George says he is happy in the future to pretend to be anybody’s brother if it gets him a free return flight.